Growing Conditions: Full sun. Most sources say it grows in sandy loam, which it does, but, honestly, it constantly surprises me. Our seed was locally collected from a population growing on coastal limestone pavements and at the sandy edge of marl-bottom wetlands. More dependent on root symbiosis than some other grasses but worth trying on almost any lively soil in full sun. Wildlife benefits: All our native grasses have many subtle but important benefits. From Ottawa Valley or eastern Ontario sources: Yes. From seed collected in Bristol Township, Quebec. 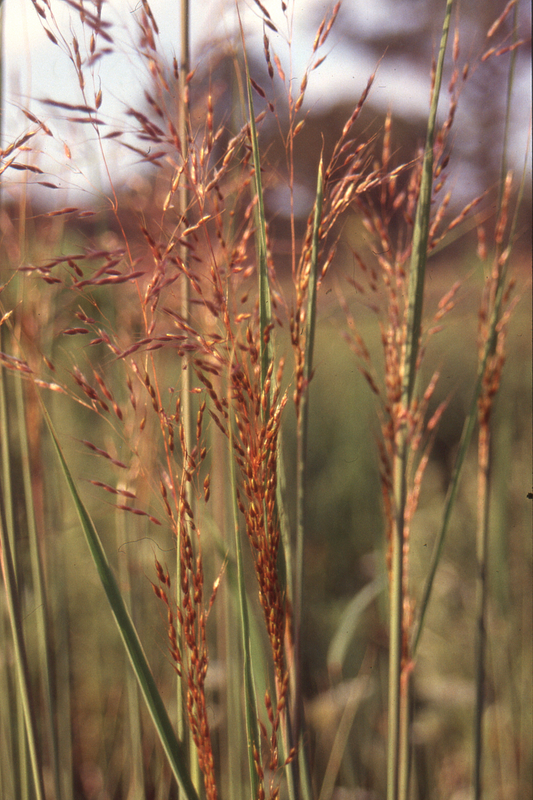 Remarks: Classic warm-season prairie grass. Indicator species of high-quality, undisturbed sites.